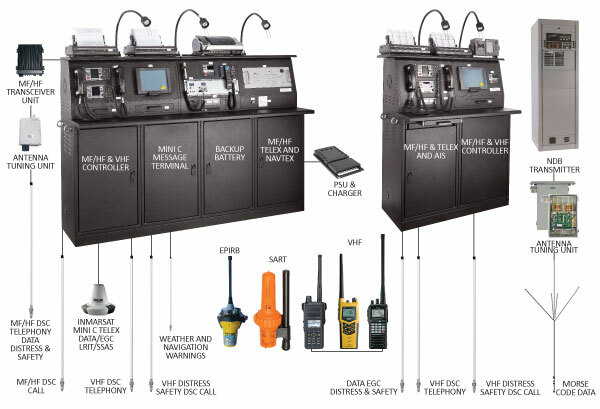 Non Directional (Radio) Beacon (NDB) is a radio transmitter used as an aviation or marine navigational aid. As the name implies, the signal transmitted does not include inherent directional information. NDB signals follow the curvature of the earth, so they can be received at much greater distances at lower altitudes. NDBs are used as markers or locators for an instrument landing system (ILS) approach or standard approach. NDBs may designate the starting area for an ILS approach or a path to follow for a standard terminal arrival procedure. Single or dual (main/standby with automatic changeover) configurations. Extensive automatic fault monitoring for faster troubleshooting.